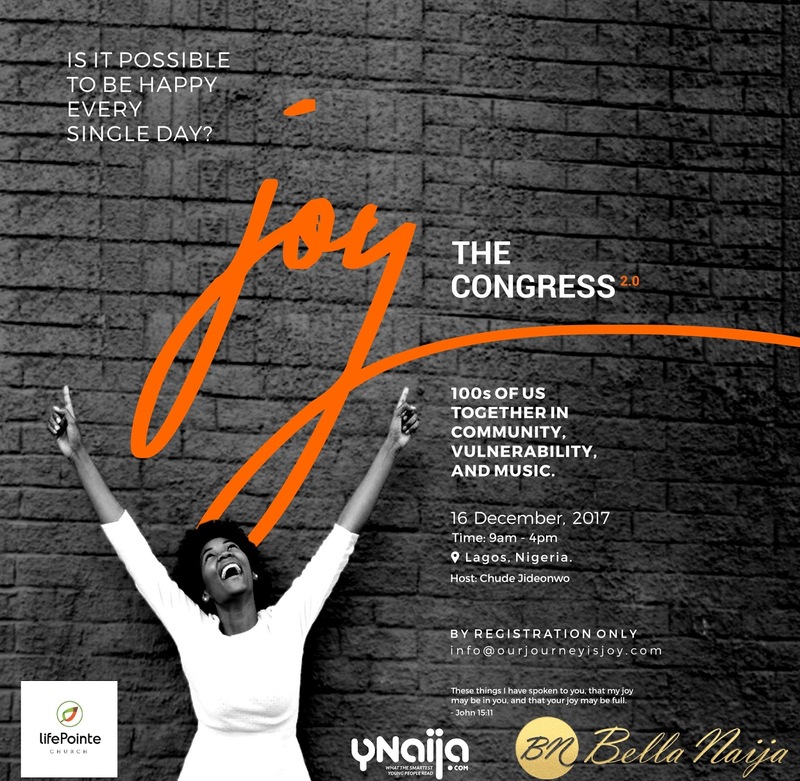 The Joy Congress, a gathering of hundreds of people, especially young people, learning the principles of well being, human flourishing and a life worth living from faith traditions and contemporary scientific research has announced its second edition. The first edition held in August 2017 in Lagos, Nigeria, and featured teachings and messages from media entrepreneur and chief executive officer of RED, Chude Jideonwo with help from Mfon Ekpo of The Discovery Centre. The event holds at #3 Remi Olowude Street, by 2nd Lekki Roundabout, Lagos on Saturday, 16 December, 2017 from 9am – 5pm. To register, send an email right away to info@ourjourneyisjoy.com. Named by Forbes as one of Africa’s 30 best entrepreneurs under 30, Chude Jideonwo is co-founder and managing partner of RED – a Nigerian media company that inspires young Africans to take action. RED consults for global brands including Facebook, Uber and the British Council, and the company has successfully managed communication for three successful African presidential campaigns. Jideonwo’s work deploys the media to build people, communities and nations. A lawyer, Jideonwo has a master’s degree in media and communication from the Pan-African University and he is an alumnus of the Lagos Business School and the Strathmore Business School in Kenya. He has been a Global Shaper with the World Economic Forum, and sits on the boards of the Oando Foundation and Microsoft 4Afrika. In 2014, he was announced winner of the CNBC All Africa Young Business Leader of the Year. He is a research fellow with the Ibadan School of Government and Public Policy. In 2016, he joined the faculty of the School of Media and Communication, Pan-Atlantic University, where he teaches journalism and corporate communication to undergraduate and post-graduate students. He is author of Are We The Turning Point Generation? and the upcoming book, How to Win Elections in Africa. From January 2018, he is transiting to a new position as leader at Joy, Inc., a revolutionary new company that integrates faith and science to help people, especially young people, find joy in their lives and in their work.